Activated charcoal makes this bar super cleansing. It may seem counterintuitive to use charcoal to clean one’s face and body. But microscopically, activated charcoal has a huge surface area that absorbs toxins, grease, and dirt. Your skin will be very clean after using this bar. Because activated charcoal removes impurities, it can help reduce the instances of acne and other skin impurities you might suffer from. It also works wonders for completely removing makeup. Note: charcoal can discolor a light colored washcloth. The bar smells just like licorice, not lavender. 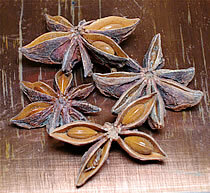 Star anise essential oil gives the characteristic licorice scent. 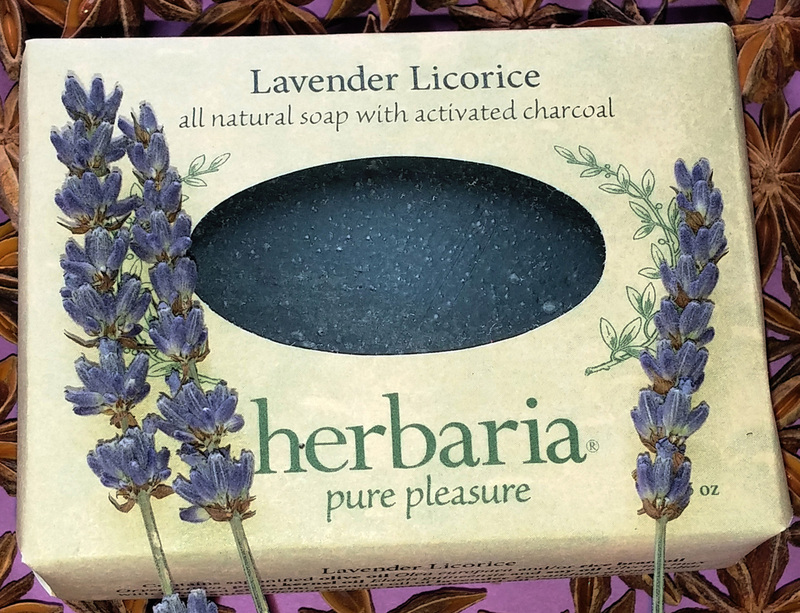 "I just have to let you know how much I am enjoying my trial bar of Lavender Licorice soap! I seriously LOVE it!!!! It smells fantastic and it lathers so nicely!! Thanks for making this great new bar!" Love licorice? Try our Licorice soap, too.